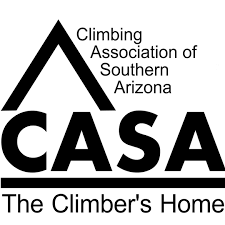 Eric Sophiea is the 2017 Cox Conserves Hero Award Winner and the Executive Director and founder of the Climbing Association of Southern Arizona. Eric will be speaking about CASA and how they managed to grow into a regionally known, award winning organization in less than four years. CASA was incorporated in 2015 and began as a 100% volunteer organization. Eric and founding members grew the organization from a budget of under $20,000 in 2015 to over $140,000 in 2017 with nearly 300 donating members. CASA's rapid growth and mission effectiveness has made it an award winning conservation organization.